The Pebby company has introduced a robotic pet sitter system that allows pet parents to monitor, interact with and entertain their pets anytime, from anywhere. A combo smart collar and Wi-Fi-controlled “ball” that follows pets around, tracking furry loved ones’ activities and sends insights about their behavior and health to the Pebby companion app. The Pebby ball can be remotely-controlled, houses a wide-angle/fisheye video camera, provides 1.5 hours of playtime and 15 hours in standby mode, allowing pet parents to watch, interact with and capture their pets' cutest candid moments in real time. Among its many other features are built-in speakers and a laser toy that’s safe for people and pets. Posted in Fetch, Life with Pets, Product Review and tagged with Technology. The Leash with a pocket for everything! Devoted dog owners know what it’s like. Never having enough space to carry what you need on a walk. Keys, cell phone, poop bags, treats, tennis ball not to mention what to do with any waste collected along the way. No more with an eLeash! Created by a family-owned business in Vancouver, WA all with convenience in mind. The eLeash is attached to an adjustable leash, has two mesh side pockets, reflective piping for safety, is lightweight, durable and available in six fun colors. Part leash, part poo bag dispenser, part catch-all for everything else, it’s the perfect gift for the dog lovers in your life. Available at eLeash.com. Posted in Fetch, Life with Pets, Product Review, Pet Biz and tagged with Leash. January 4, 2015 by Spot Magazine. Gold Paw set out to make the “most comfortable harness anywhere,” and having tried many types on various dogs I can say they may have done it. I have a somewhat persnickety dog — usually if I leave her harness on too long she’s scratching at the touch points — but this has not so much been the case with the Cloud. The American-made 3-D fabric is stretchy and lightweight, but it has also held up well to all the abuse Maddie’s put it through — swimming, hiking, rolling, playing. It seems more reathable than some of the alternatives, many of which feature fleece. The only slight negative I experienced is that it goes on by lifting a paw, slightly less quick than other harnesses. I would also say this harness is not the most helpful for dogs who really pull. For them I recommend the Freedom No Pull Harness. I really appreciate that if my dog does pull, the harness doesn’t put pressure on her throat and cause that awful choking sound. Instead it pulls “on her shoulders where it belongs.” Overall the Cloud is fantastic for year-round use, attractive looking, and really comfortable for your furry sidekick’s outdoor adventures. 5 out of 5 paws! Posted in Life with Pets, Pet Biz, Product Review and tagged with Gear. Dogs love novelty, but even more, they like treats! I’m loving the new durable toys from Cycle Dog, who makes products from post-consumer recycled non-toxic materials. I have their doggie bag dispenser, so I was eager to try out their Ecolast treat-hiding toys. My dog Maddie spent a good half-hour trying to get all the wet food out of the pink 3-Play Hippo’s belly, which squeaks, floats and hides treats. For some dogs the squeak is the thing, and the head of the toy has a strong squeaker. The Hippo and Cycle Dog’s also adorable 3-Play Turtle both float. Some consumers report that their dogs chew off the toy’s legs, but the rest of the toy still lasts and retains its treat hiding, squeaking and floating qualities. For monster chewers, I’d recommend putting the toy away when a dog isn’t fetching it out of the water or licking treats out of it. This adorable, durable toy would make a great gift! Posted in Life with Pets, Product Review, Pet Biz and tagged with Toys. December 1, 2013 by Megan Mahan - Spot Magazine. We've Been Shopping...Here's what we Love! Chilly Mats are soft, durable pads that cool a hot pooch down nicely. My dog is nervous about new things, but once she got on the mat she didn’t want to get off. I like that the mat doesn’t plug in so I can use it both inside and outdoors. It can also be inserted into your dog’s bed. If you have a pooch that pants away the dog days of summer, I recommend this product. I also found it reasonably priced (XS-L ranges $10-$40), especially considering the comfort it provides. 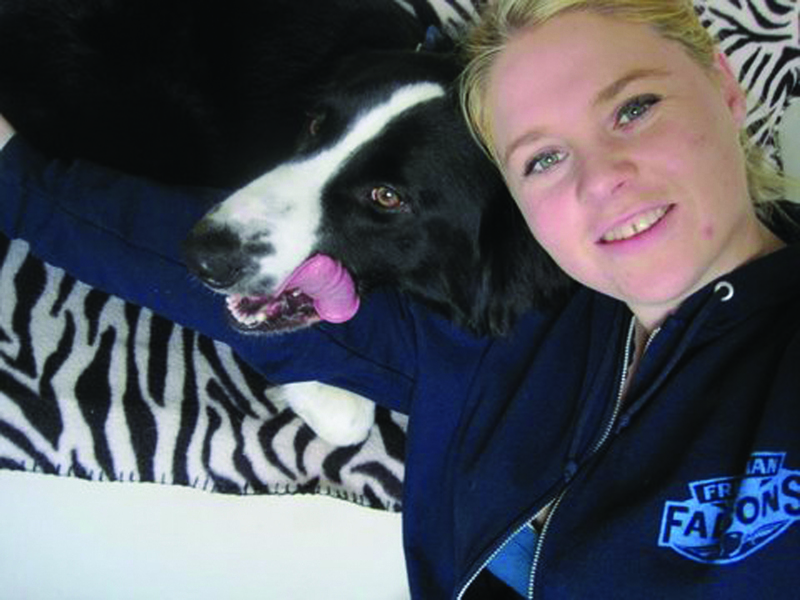 The Chilly Mat was rated one of the Top 10 Products at the Global Pet Expo this year. Check it out at HugsPetProducts.com or at your neighborhood pet supply. Posted in Life with Pets, Product Review and tagged with Summer, Health. August 1, 2013 by Megan Mahan - Spot Magazine. Most will agree that at now and again they’ve forgotten whether they took (or administered) vitamins or medications. As busy as we are these days, it’s easy to do! The RX Timer Cap is a lid for pill bottles of various sizes with an LCD timer that tracks the time the bottle was opened last. My dog Maddie is currently on antibiotics, and I appreciate being able to just look at the cap to see when she had them last, especially since there are two people medicating her. Other times I've had pets on meds and found it was easy to forget whether I’d had given them a scheduled dose. I would then count pills to make sure the dosage was on track. Another trick was making up little dosage schedules. This is a lot easier. Posted in Product Review, Life with Pets and tagged with Medications. May 1, 2013 by Megan Mahan - Spot Magazine. Here in the Northwest we love our sports teams and our pets! The Dog-E-Glow collar and leash are a great way to show your team pride while make evening walks safer. There are various types of attachable lights on the market, as well as reflective leashes and collars. 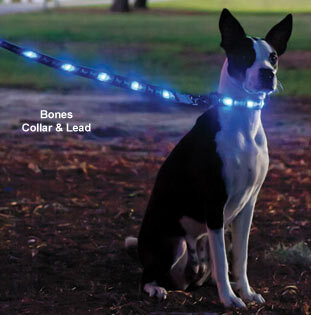 Dog-E-Glow products are a step up, with built-in LEDs visible up to 1,000 feet. In the short dark days of the many weeks ahead you want your dog to be seen. The gear is also cute. Our dog has been wearing a University of Oregon Ducks collar with a six-foot leash. The Collegiate Collection includes the Top 75 NCAA Division I Universities. If you're not a sports fan, Dog-E-Glow offers other fun patterns as well. The two drawbacks are replacing the batteries (but you start with a 1,000-hour battery life and it comes with extras), and that the collar/leash can't be submerged in water. Since our dog wants to dive in whenever she sees water, this means I only use the Dog-E-Glow at night. I did find that the lights (which can either blink or stay constant) offered better visibility than smaller lights and reflective leashes we've used in the past. For those who walk in lower-light conditions, I definitely recommend Dog-E-Glow projects for maximizing you and your pet’s visibility . . . and safety. Posted in Product Review and tagged with Collars/Leashes, Safety. December 1, 2012 by Megan Mahan - Spot Magazine. I've always wanted to make treats for my dog, but I’ve never gotten so far as to pick a recipe, get the ingredients and get to work. I was pleasantly surprised to see that Freshpet has come up with cookies that are just as easy to make as the ready-to-bake cookies available for people. The baking part is uber easy: put them on the pan, put them in the oven, and wait 12 minutes. For once I was pulling something out of the oven that actually was for the dog, not just something she thought was for her. I baked the Oatmeal and Cranberry and the Peanut Butter and Oatmeal cookies and gave samples to both our dog and one that was visiting. After enjoying the first cookie, they both sat very still and stared at me, waiting for another. They watched me put the lid on the cookies, and as I headed to the next room they did what I can only describe as “mob” me. Our dog and her friend are no food snobs, but this reaction let me know they really loved these cookies! I also offered the treats at a recent pet event, and people were amazed at how much they looked like cookies for people. The ingredient list is all natural and includes foods like cranberries and eggs, and the remaining ingredients seem to balance each other out. For example, palm oil is high in saturated fatty acids, while cane juice is a healthy alternative to refined sugar. Like many treats, the cookies are not low in fat so should be factored into your pup’s daily food intake. Several chains such as Fred Meyer, Wilco and PetSmart carry Dog Joy Ready to Bake Cookies and other Freshpet products. For nutritional and other information, visit Freshpet.com. Posted in Product Review and tagged with Treats, Dogs. October 1, 2012 by Megan Mahan - Spot Magazine. While reviewing Tagg - The Pet Tracker (June ’12), a home video monitoring system (Vue Zone) was also recommended. The product rep said, “You're going to love keeping track of your pet online through the cameras.” Honestly, I thought it sounded nuts to have my pets on a GPS tracker and video monitoring, but we did love it! In fact rather than return the products graciously loaned for the review, we’re considering renewing the services. We installed four Vue Zone pet cams inside and outside our home, and we could view feeds from any of them through our "Personal Video Network" online. Among multiple features, the cameras can be set to record a photo or video when sensing motion. The view is "surveillance quality," meaning grainy, but I could always tell what I looking at. Live action is available to view at all times, and all the cameras can be monitored simultaneously, or one view can be zoomed in for detail. Vue Zone cameras are cordless, so installation was fast and easy (easy to place out of reach, no cords to hide). I loved being able to check in on our newly adopted dog, Maddie, watching her sleep day after day. At first I got excited at every yawn, but eventually considered installing a home phone just to use the answering machine to get a reaction out of my lazy (and apparently boring!) dog. While pet sitting two other dogs it was great being able to check in and know they were getting on well when left together — and (bonus!) I got to see some actual activity! The cameras also added home security, which was great during a three-day trip. It was so easy to log on and click a camera to see the house, complete with our car still parked outside. A huge value was discovered one day when I logged on while at work. Maddie’s leg was caught in a tight hold in her collar. I found her sitting calmly on the couch, but if she tried to walk around she might have choked. My pet-loving boss sent me home early to untangle the poor dog. What a great relief to be able to prevent her getting hurt or suffering. I’d love to see this system at a friend's who has several cats. While kitties nap a lot (up to 20 hours a day!) they also do things that are fun to watch, like play together, and chase shadows and flies. Plus, if you had cats not getting along you might be get ideas for facilitating this when you're away. Overall, this is a great product that serves multiple purposes, including home monitoring and pet viewing. Visit VueZone.com for more details, photos and pricing. Posted in Product Review and tagged with Technology, Safety. August 1, 2012 by Megan Mahan - Spot Magazine. Cynthia Harvey, a friend of Spot, was so excited to tell us about a product she found in an ad that had a 30-day money-back guarantee. She said, “What could I lose?” The product paid off immediately, Cindy. They had recently installed new carpeting and flooring at their home and office/cat room, and the Litter Mat proved excellent at trapping litter, and it looks great. Cynthia invited me to visit and check it out personally, so I did. The mat does look good and work great. Its design is unique, bringing both beauty and fashion. A portion of the proceeds are donated to organizations that support no-kill policies for animals. Learn more at CatsRule.com. Learn more about Cynthia and friends in Meet Midget in this month's Reader Spotlight. Posted in Product Review and tagged with Litterbox.